Percy Mason was passionate about swimming and dedicated himself to the sport in Warrington for decades and held many high-ranking positions at swimming associations located across the region. His association with the Warriors started in 1973/74 when his son and daughter joined. He later became Chairman for a number of years until becoming President, a post he held unopposed until he retired in 2005. 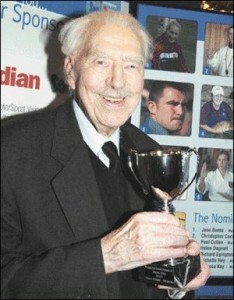 Percy was still working at poolside a few weeks before he passed away in July 2006, aged 93. As well as his work with the Warriors, Percy was a very active member of other committees including Liverpool and District and Cheshire County where he held the positions of both Chair and President of both organisations. He was awarded the honour of Life Membership of both these organisations for his continued development of the sport at all levels; an honour given to very few in the sport. Percy also enjoyed being involved with the Speedo League North West; again becoming President and a Life Member. Of course his Warriors of Warrington was his main love. He was so proud to see his children achieve success in the pool wearing the black and yellow cap or black and orange in the early days of the club. 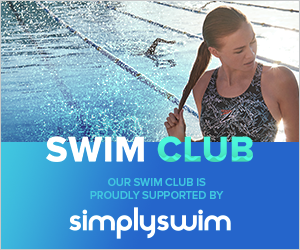 His eldest son Russell is still a competitive Masters swimmer and one of the top swimmers in the country in his age group, frequently winning medals at the National Championships. It did not matter to Percy what age of the swimmer and what level they achieved, they all were so important to him. His gentle caring manner shone through and he always went out of his way to praise them on their success; the true mark of a great man of our sport. Percy was renowned, revered and was recognised where ever he went for his professionalism when refereeing, his sportsmanship when supporting his team and being the complete gentleman that he always was. Warriors of Warrington owe him so much for his vision and his dedication to our club. His success is now our success and long may Percy’s and the other founder members vision continue. In recognition of Percy’s dedication to the Warriors and swimming in general, our level 3 external gala is named in his honour; The Percy Mason Memorial Gala.